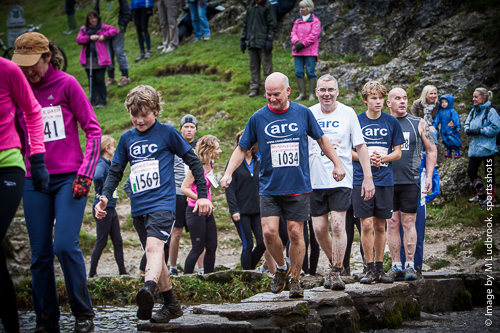 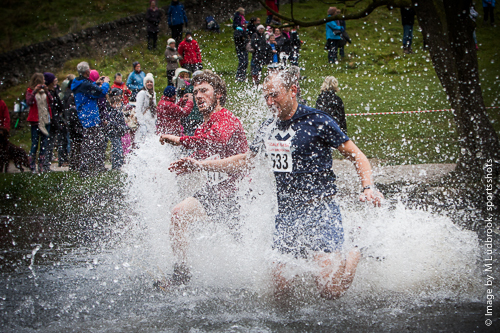 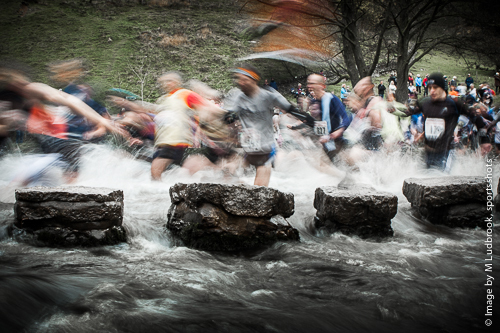 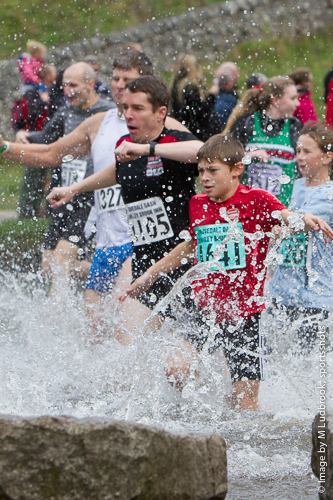 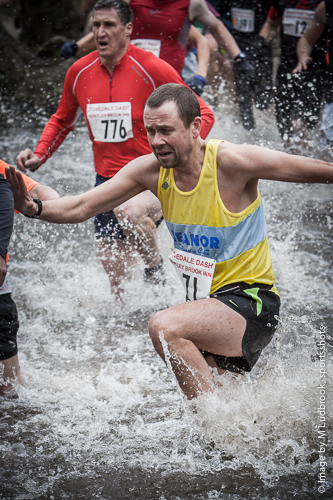 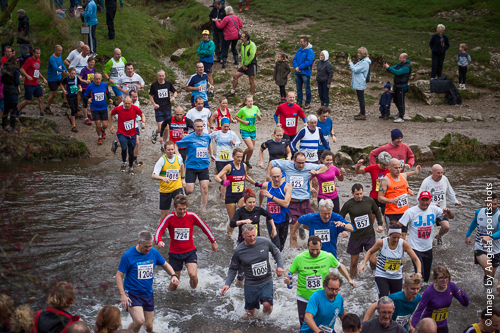 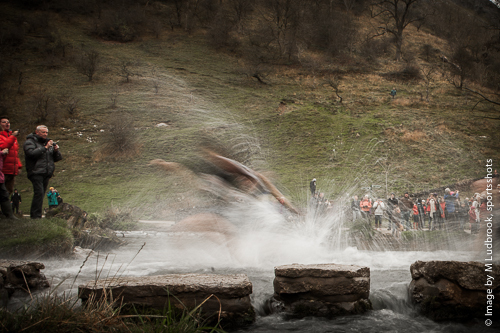 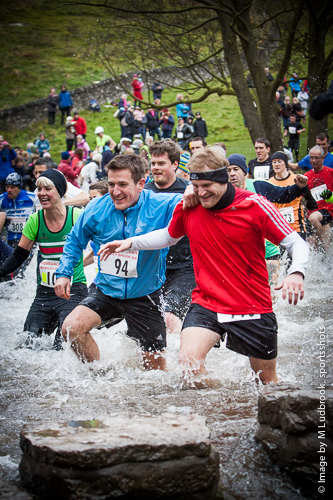 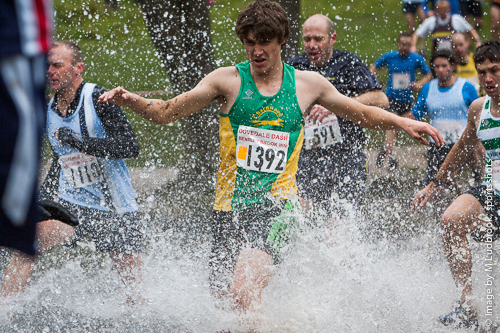 1100 people hurling themselves down the steep decent of Lin Dale, all funnelling into the River Dove taking the plunge into the icy cold waters or negotiating the stepping stones before continuing down the valley and back only to finish this 4 ½ mile run with the steep incline back to the finish.. 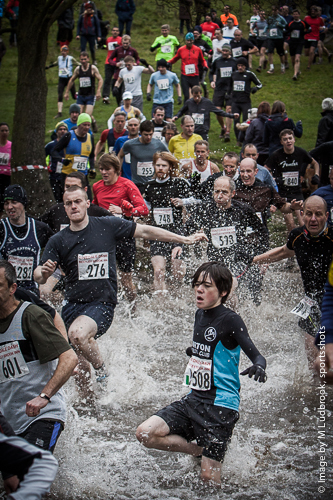 Certainly not for the faint hearted but it is a crowd puller as this annual event resumes after its cancelation in 2013 due to weather conditions. 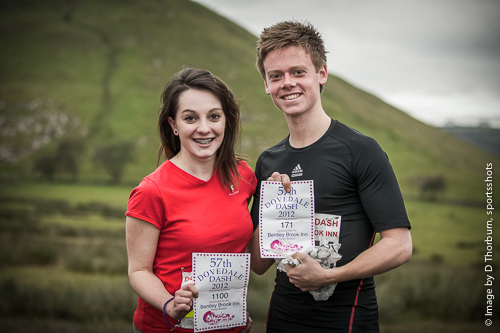 The first Dovedale Dash was held on the Bonfire Party Weekend at Ilam Hall in 1953. 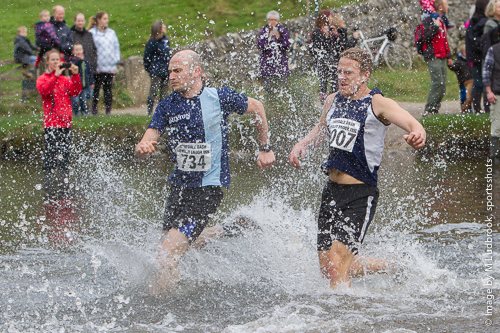 A challenge race between the cyclists and the walkers of the Derby Mercury Running Club. 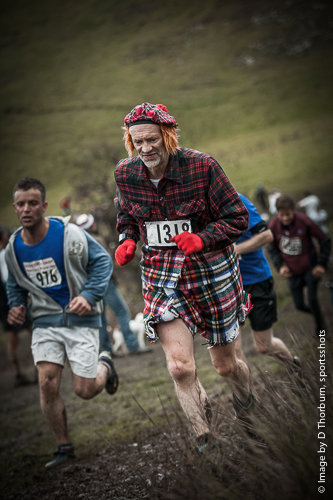 Intending to run off the excesses of the party. 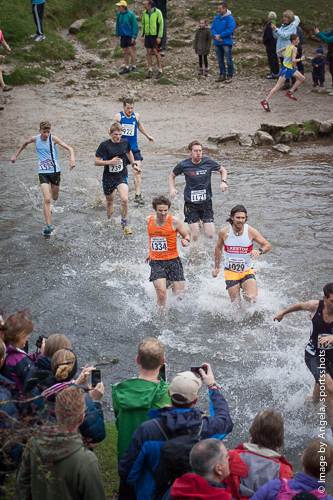 In the first race there were about 15 runners. 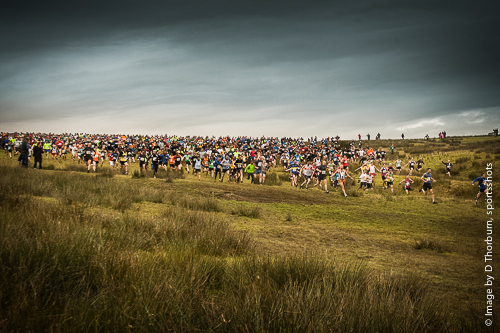 Over the following years, other hostellers asked if they could join in, and the numbers gradually grew with runners coming on the day just to take part. 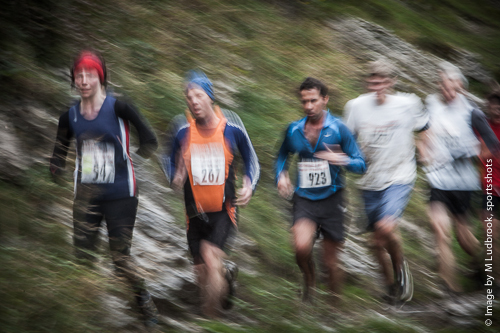 Inevitably, some of the cyclists, or walkers, or climbers, would also be runners and so the word spread through the running fraternity. 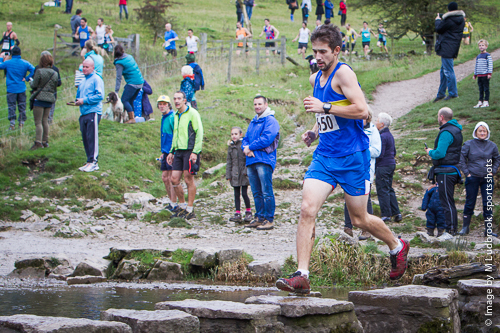 Most of the top local runners came along and some of international standing. 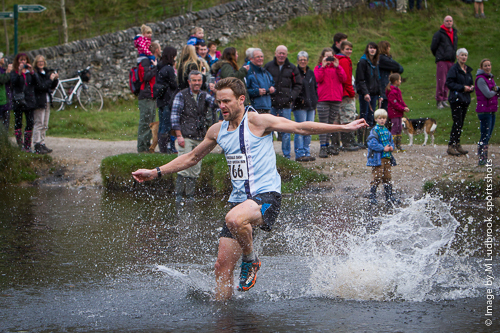 One such runner, George Rhodes, ran for England on many occasions and won the Dash 3 consecutive times. 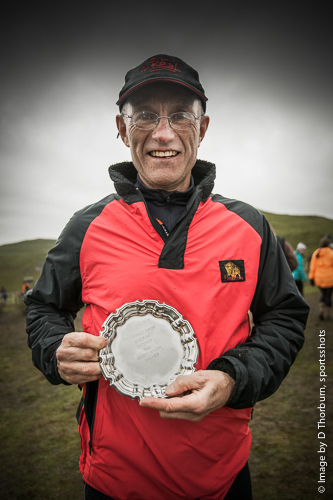 For this achievement he was allowed to keep the original trophy, presented by our club president Eric Thompson. 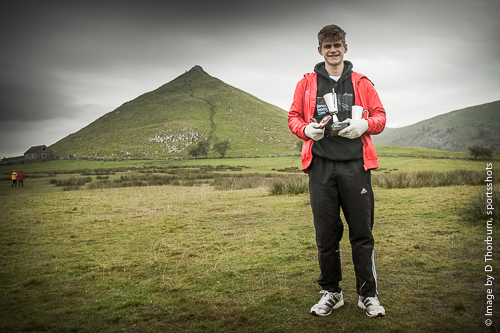 In reply to this gesture George Rhodes gave the club a cup, the George Rhodes Trophy, to be competed for in future Dashes. 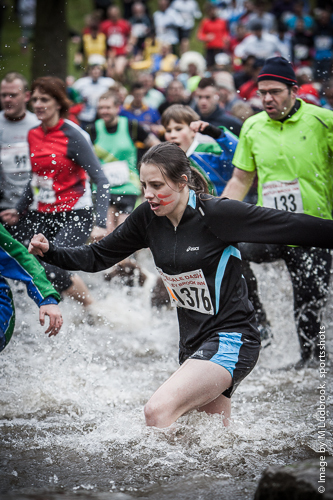 This Feature was kindly sponsored by Abbott Risk Consulting Ltd. 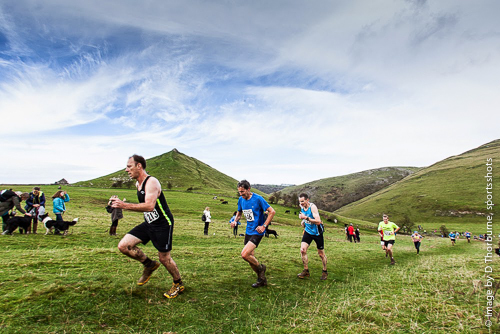 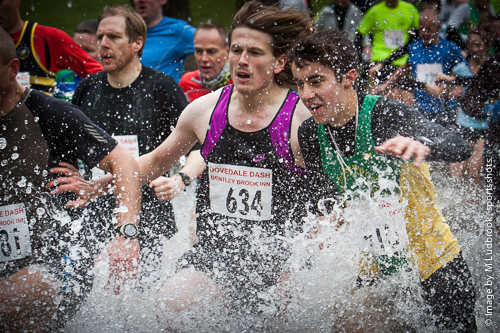 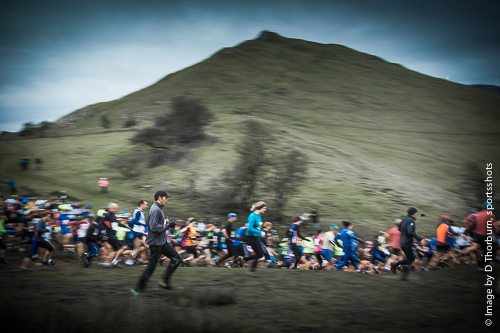 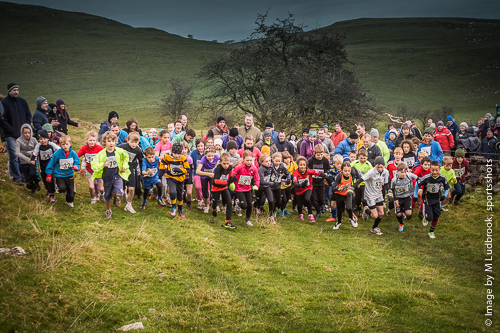 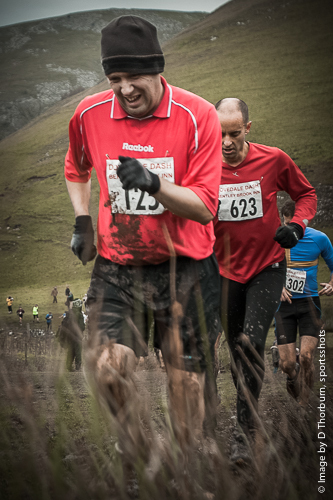 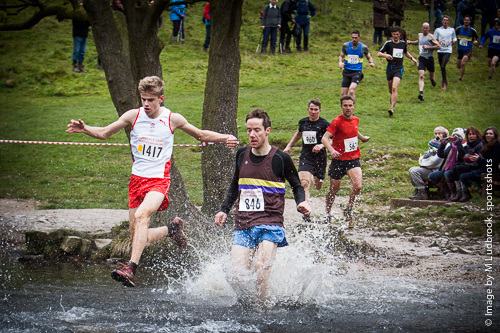 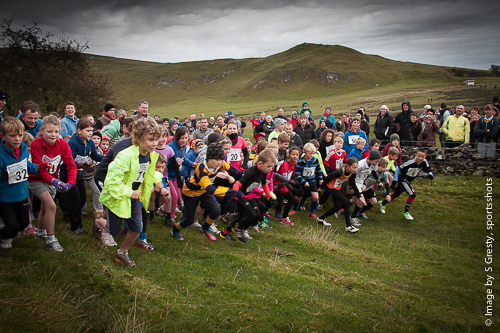 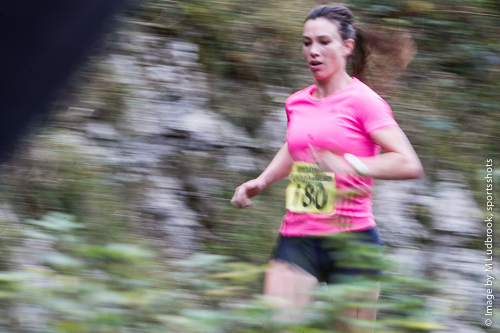 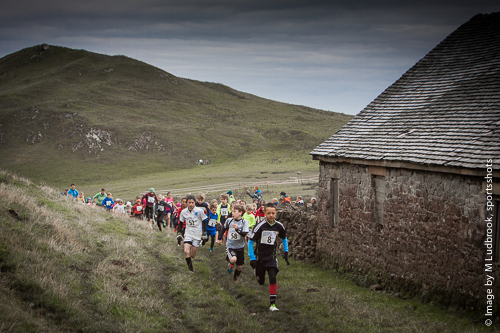 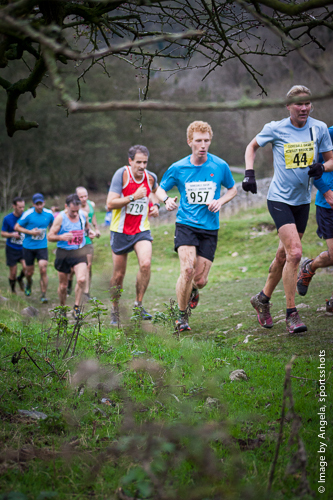 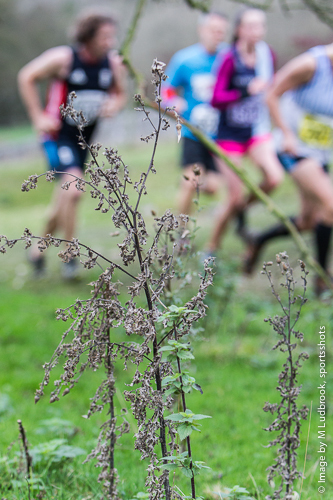 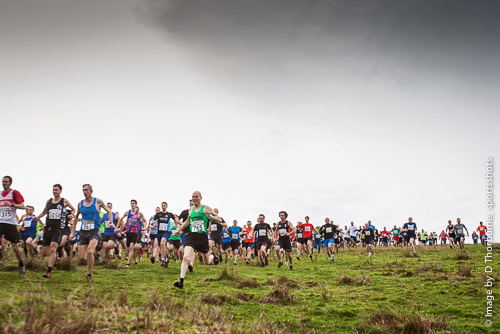 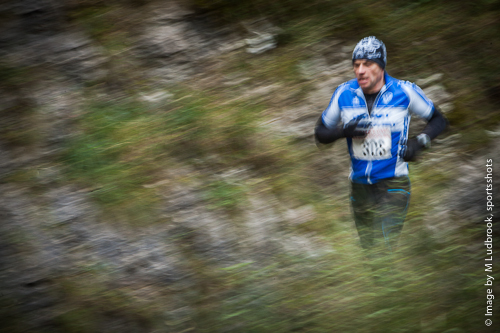 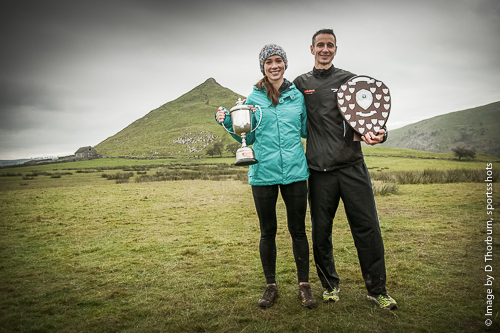 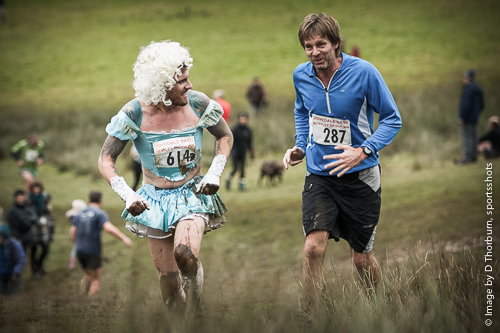 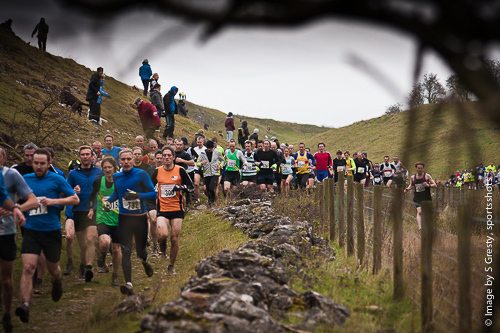 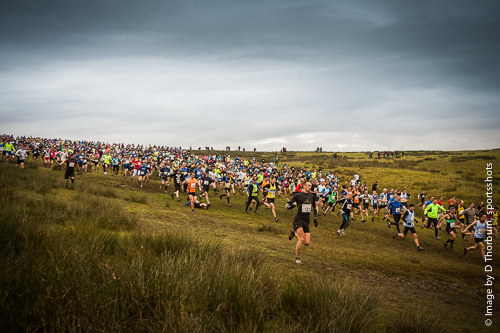 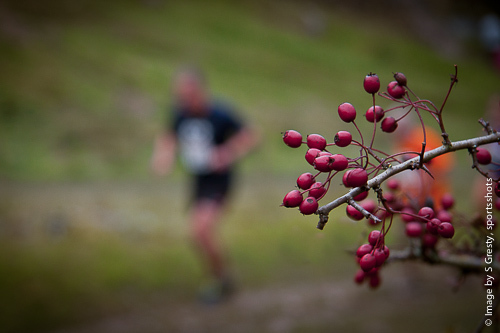 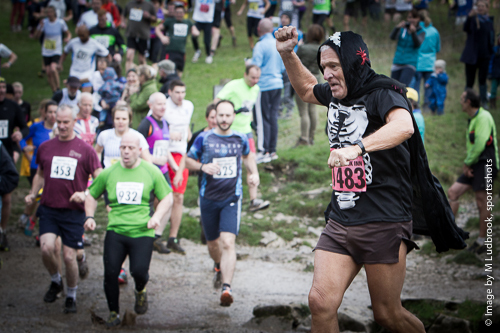 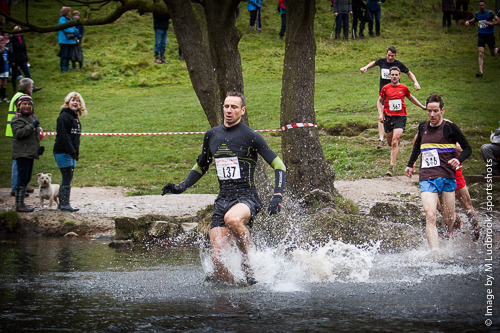 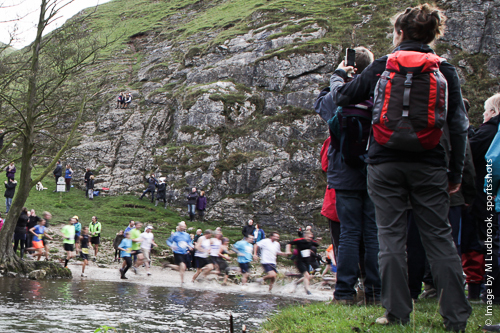 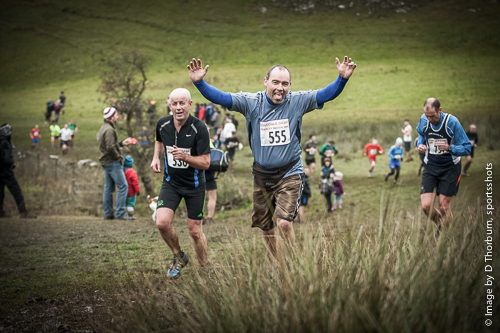 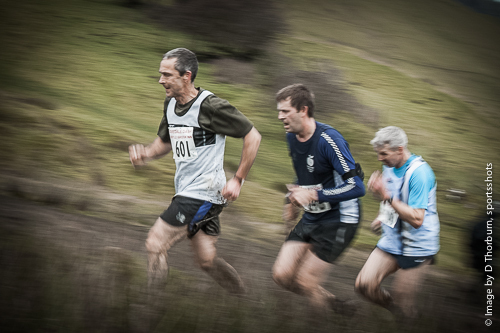 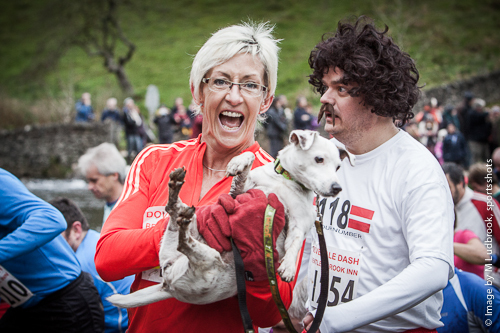 Since 1953, beneath the shadow of Thorpe Cloud, the Dovedale Dash has gained momentum from it’s humble beginnings as a competition between, what was then just 15 runners to an event which now plays host to nearly 1500 competitors. 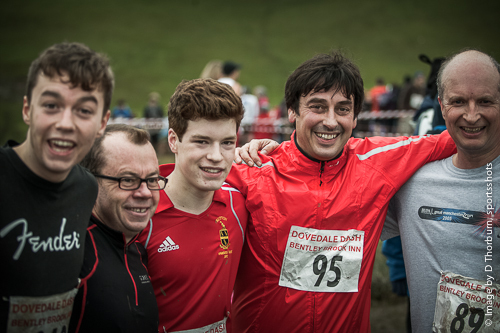 It is a race that can only be described as bordering on craziness and yet still managers to embrace a family feel. 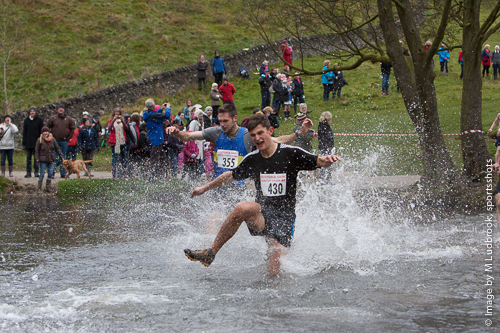 Thorpe pastures slowly came alive as athletes of all age groups arrived to a biting morning with a cold chilling breeze to question the sanity of those about to take the plunge,The course taking the runners at break-neck speed down Lin Dale to the river where they are faced with the dilema, que for the stepping stones or for the less faint hearted, plunge into the dark, icy waters to reach the opposite bank. 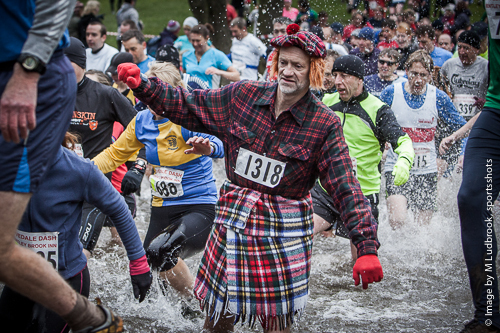 The competitors – some of whom are club runners chasing a personal best whilst others dressed so inappropriately for running, as characters such as Batman, a Scotsman...with kilt, a banana or even a chili pepper,but it is all a great sence of fun that these runners compete. 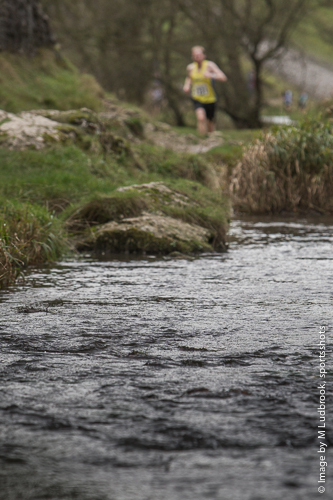 The race takes them along the north bank heading towards the village of Ilam before turning south-east along the river side. 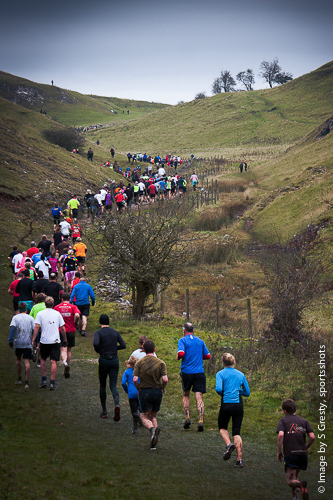 As the runners reach Coldwell Bridge below Thorpe they cross back across the river swinging left to head north, traversing the base of Thorpe Cloud and facing the final grueling climb back up Lin Dale to the finish and a well-earned warming mug of tea. 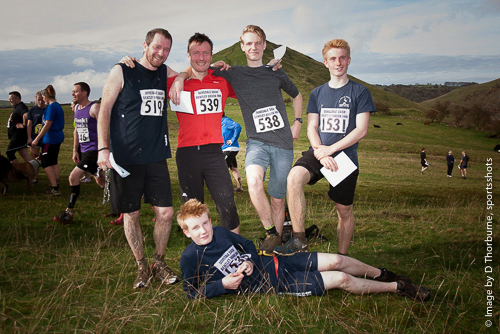 Back in the day, the Dovedale Dash was a race between the cyclists and the walkers of the Derby Mercury Running Club, designed to reduce the after effects of a bonfire party. 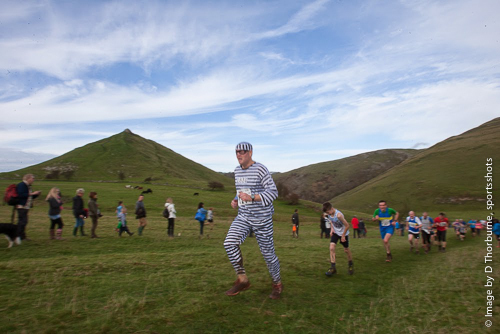 Numbers gradually grew as over the following years, other mad outdoor folk asked if they could take up the challenge. 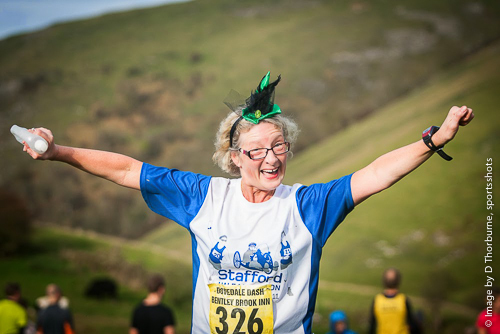 Today runners come to the event from all over the country and for many it is an annual pilgrimage whom, ‘tipping their hat’ to history, still sport the Derby Mercury Club attire. 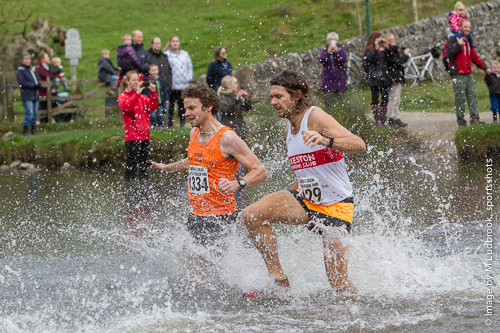 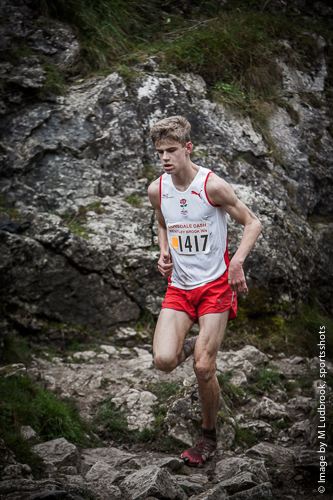 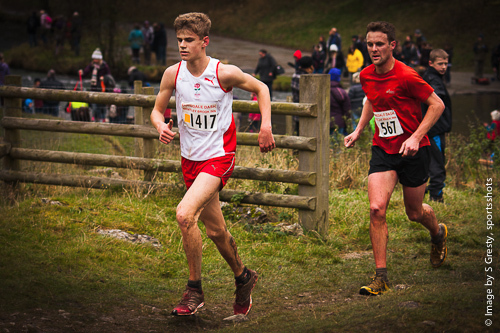 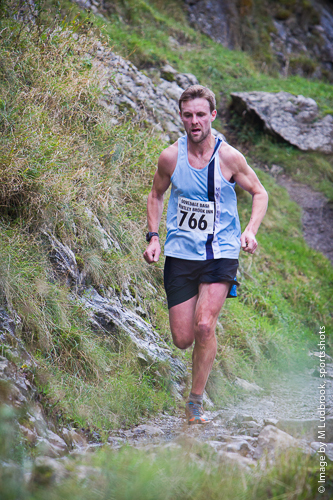 In the 2012 event, Stuart Bond of Dark Peak Fell Runners ran an exceptional race and finished in 27 minutes 19 seconds, pipping 17 year old Kristian Edwards of Tamworth AC, who, although took second overall won the under 18 in an amazing 28:51. 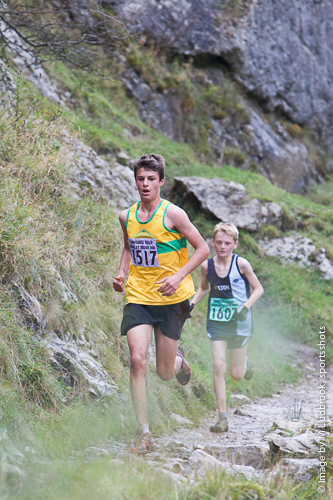 Ian Phillips of Matlock AC took third in 29:02. 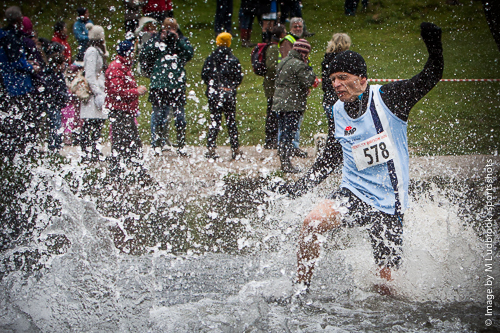 Team ARC - our feature sponsor, were out in force on the day, although avoiding the water plunge opting for the infamous stepping stones to cross the Dove, the team braved the conditions and finished whilst not in contention for a trophy but like many others, just for the personal challenge. 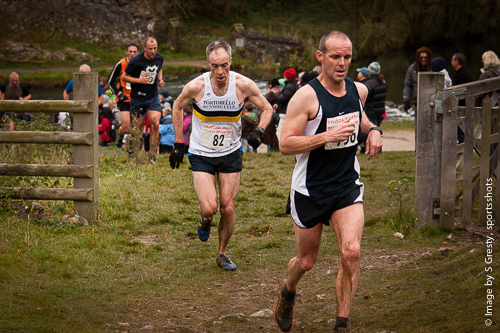 ARC Director, John Abbott said after the race that he has competed in this race for over 20 years and encouraged other members of his staff to participate in sport. 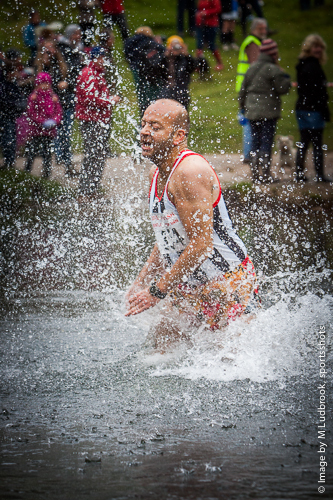 With offices in Derby, I'm sure team ARC will be back and perhaps take the plunge into the icy waters on their return. 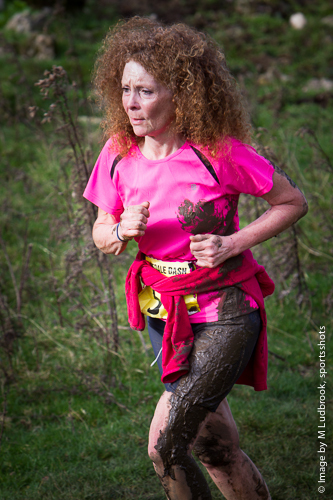 Meanwhile in the ladies event, Sheena Murphy stormed into first place with an incredible time of 33:40 followed by Edie Hemstock in 35:50. 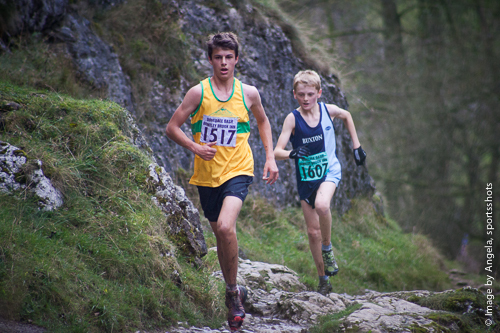 In the under 14’s Albert Linell took first place in 38:14, whilst in the over 60’s event, Simon Brister from Carsinton ran an inspired race to take first position in 36:50. 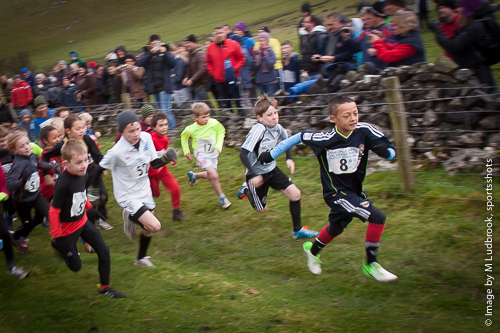 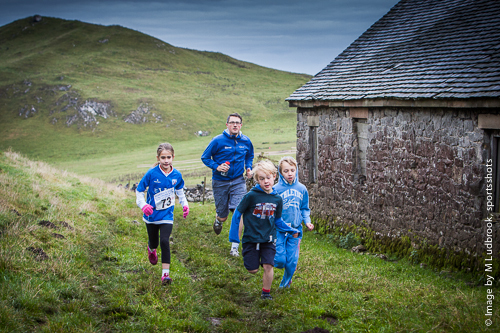 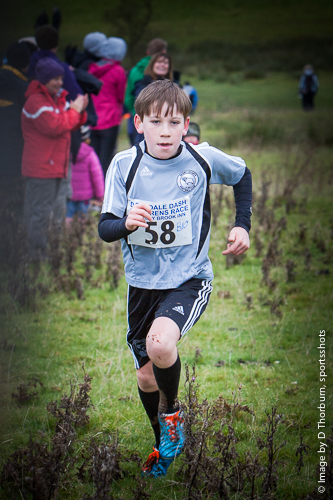 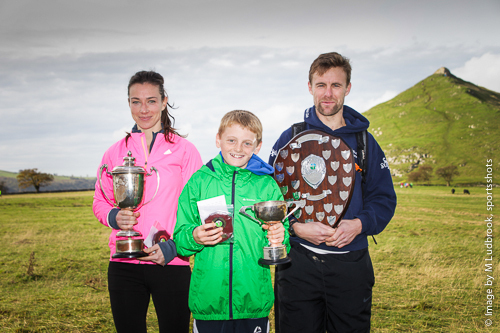 In the Children’s race that took place before the main event and followed a course that traversed the base of Thorpe Cloud and finished with the long climb up Lin Dale, Anastasia Stock-Clarke flew round to take first place in the under 10’s in 10:22 whilst Finbarr Brooks lead in the under 8’s in 11:05. 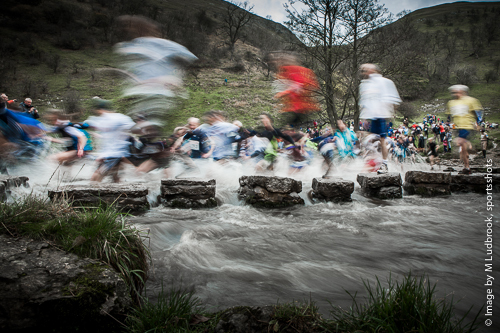 As the gratefully accepted piping hot tea was beginning to flow, the remaining wet and muddy runners jogged, walked or hobbled up the finishing funnel in various states of exhaustion, but all had a smile on their face that said “I maybe knackered and I maybe filthy and wet but d’you know what that’s all part of the fun of the Dovedale Dash. 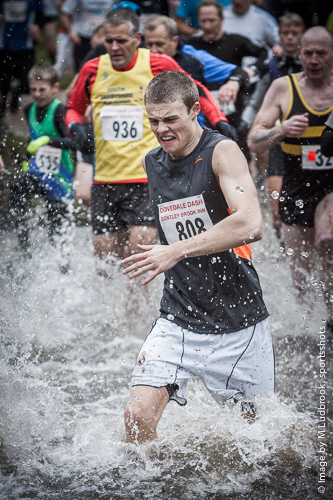 sportsshots are looking for feature sponsors to help us cover events. 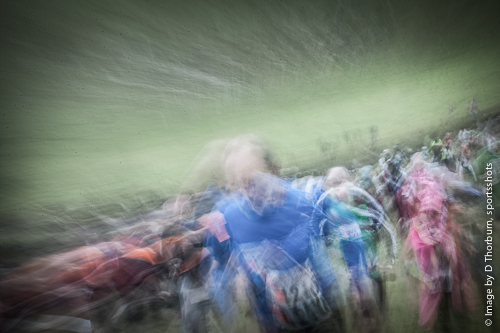 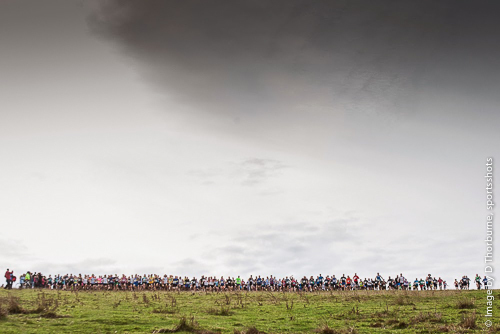 If you wish to help sportsshots cover some of Derbyshires more unusual and abstract sport then please get in touch.